Heart disease continues to be the leading cause of death among both men and women throughout the United States. Each year more than 730,000 people in the nation suffer heart attacks, with more than 500,000 of those suffering their first heart attack. 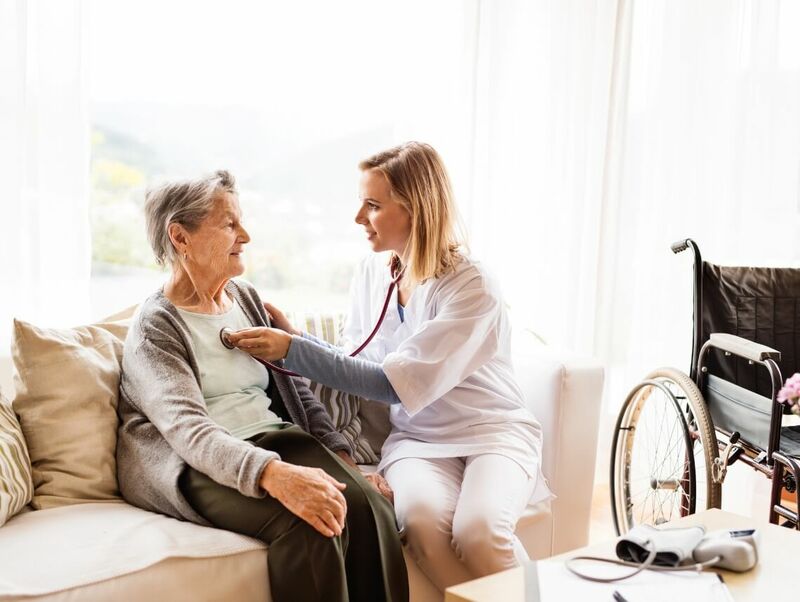 As a family caregiver for an elderly adult it is important that you are prepared for the possibility of your elderly loved one experiencing such a medical emergency so that you are able to respond properly should one occur in your home care journey with them. A heart attack can happen very suddenly and with very little warning, but the aftermath can be long and arduous. How you help your parent manage this recovery can make a tremendous difference in how well they handle their recovery, manage the impact of the attack, and prepare themselves to reduce the chances that they will experience another heart attack during their later years. There are many steps that you can take to help your parent manage their recovery period effectively, but one of the most beneficial can be to start home care for them. Easing transition into care at home. While your parent is in the hospital after suffering a heart attack they will receive care from a dedicated care team made up of a variety of medical professionals. This can make it challenging for them to return home and be without this level of assistance. Home care can ease this transition and make it less stressful for your parent to go from hospital to home during their recovery. The rest they need. Recovering from a heart attack can be exhausting. Your parent’s body needs plenty of rest to heal and to get stronger, but all of the tasks that await them at home can make it impossible for them to get the rest that they need. A home care provider can take over the basic tasks of your parent’s daily life to ensure that your parent’s home stays comfortable, clean, healthy, and safe while enabling your parent to rest. This can include washing dishes, doing laundry, and helping with the preparation of healthy meals and snacks. Emotional support. It can be very frightening for your elderly parent to experience a heart attack. They might start thinking about their mortality and the health and abilities that they have lost. They might also fear the potential for another heart attack. A home care provider is there to give your parent emotional support, encouragement, and companionship that helps them identify the challenges that they are facing, recognize all of the wonderful opportunities that they have available to them in this new chapter in their life, and find new ways to keep themselves healthy and active while managing their heart needs.